Last night we attended the auction of 50 GoGoHare sculptures held at The Forum, Norwich. The art trail run by Break charity in conjunction with Wild in Art provided a long hot summer of fun with hundreds of thousands of people visiting the sculptures which were located across the city of Norwich, with 18 additional 'moongazing' hares placed in towns and villages across the county of Norfolk. The evening was introduced by Break charity Patron, Jake Humphrey, with his daughter somewhat 'stealing the show' by spinning first hare up for auction, Oschare around on his plinth, much to the amusement of attendees at this fantastic event. The auction itself was expertly run by TW Gaze auctioneers, with live feeds on YouTube and via the Eastern Daily Press to enable internet bidding and for people to enjoy the auction remotely. The atmosphere was really electric with whoops and cheers from the crowd following each sale. We're fortunate to have sponsored Hareman Jack Hargreaves, a WW1 veteran pilot and a hit with the ladies thanks to his handsome appearance and dashing conversation. We were sad to see him fly off to his forever home, but excited and proud that he raised an impressive £4500 for Break charity. The total amount raised from the sale of the big-eared sculptures was a whopping £409,600. All funds will directly to help young people in care or those leaving care to cope on their own. 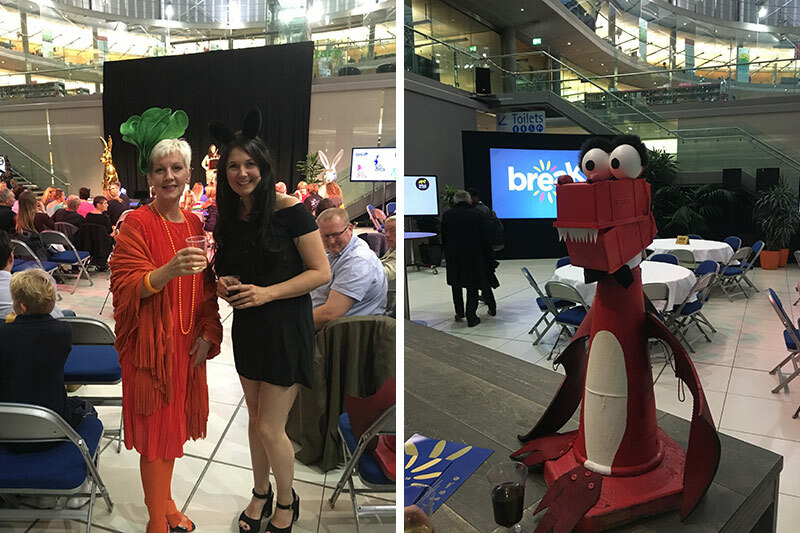 Huge congratulations to the GoGoHares, GoGoCreate and Break teams, artists and sponsors who together made it all possible.